In the heart of Milan begins the story of a family from a small town in Emilia Romagna, who has turned his passion for watches in a job undertaken in the early decades of the 900, Divino first, the second of 13 Pisa brothers, followed soon Osvaldo and Ugo, the younger. In Milan, Divino began to work as a watchmaker and engineer in the early 30s and then founded the first Italian watchmaking school, attended by children of watchmakers craftsmen, sent to improve the technique. During the '30s the Pisa brothers move from Gualtieri to Milan, where they start to perfect their talent. Here Divino founds the first Italian clock-making school and starts his laboratory, while Osvaldo, in 1940, opens a small workshop in via Verri where he works as clock-making technician in front of the only shop window facing the street, attracting the attention of passers-by. Starting from the Post-war years the Fratelli Pisa workshop becomes reference point for the Milanese bourgeoisie and an increasingly international clientele. Already in 1946, just after returning from the war front, Osvaldo calls his brother Ugo to the workshop to help him with sales so that he can dedicate himself to the laboratory. Thanks to Ugo’s initiative in business and his ability in recognizing craftsmanship value, more and more movie stars, famous athletes, industrialists start appreciating emerging brands like Rolex, Piaget, Vacheron Constantin. 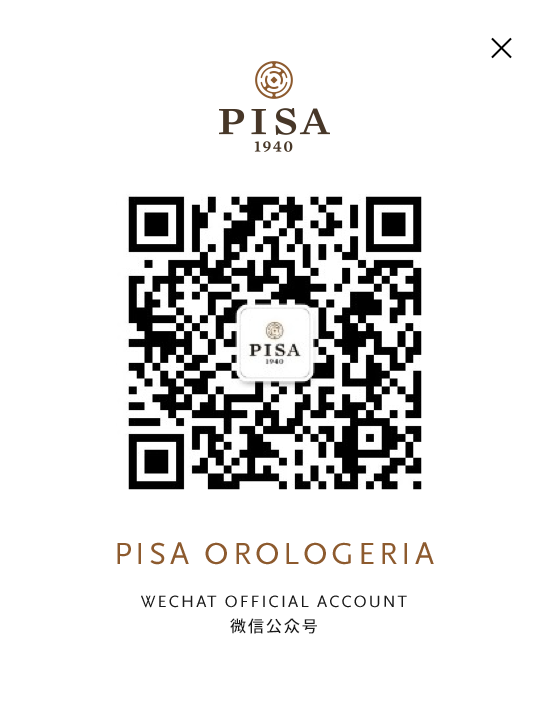 Pisa Orologeria becomes interpreter of the impeccable and personal style of a generation. In 1971, after Ugo’s death, the Pisa tradition passes into the hands of his daughters Grazia and Maristella, the so-called “Ladies of Time”, who have absorbed the family passion and continue the search for small producers and emerging craftsmen initiated by their father. There to help is also Fabio Bertini, nephew of Osvaldo, who started to work in the laboratory and subsequently moved to the Commercial . Again in via Verri, in front of the historic Pisa shop, opens Pisa Minuti: an innovative offer of modern pieces, in contrast with the style and fashions of the moment, while prestigious and loyal Pisa clients continue to choose between unique pieces and limited editions, including the first Pisa watch. The dynamism of the Pisa family is the engine of the business expansion project and of an unprecedented event for Milan: the exclusive presentation of the new watches to customers, a month after the Basel Fair. For the following 10 years, it becomes a highly anticipated event in the world of watchmaking. 2006 is the year in which Chiara, daughter of Maristella and the family’s third generation, makes her entry into the company; with her mother she creates a first line of jewellery, the “Lancette” collection. But not only: in 2008 there is the opening of the Rolex Boutique in via Montenapoleone, and of the Patek Philippe Boutique, in the now historic via Verri. Alongside these, there is the Multi-brand Boutique, an expression of the philosophy of the Pisa sisters.